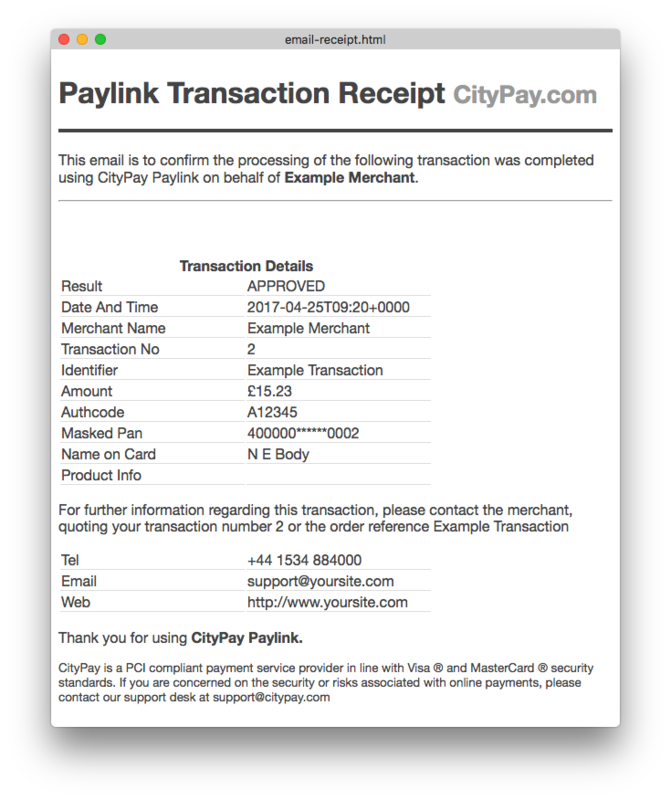 Paylink will optionally forward an email to a merchant email address as a notification and/or a customer email address as a receipt. Emails are generated in multipart/alternative format containing both HTML and Plain Text MultiPart messages. Whilst we monitor our email platform for bounced messages, we cannot guarantee email delivery and it therefore should be used as a notification process rather than reliance on a payment being made. A merchant notification email is optionally sent on approval of a transaction. It may also be configured to forward an email on expiration of a non processed transaction. Emails will also forward any custom values send through the Paylink engine to allow help desk operators to identify internal information related to the transaction. 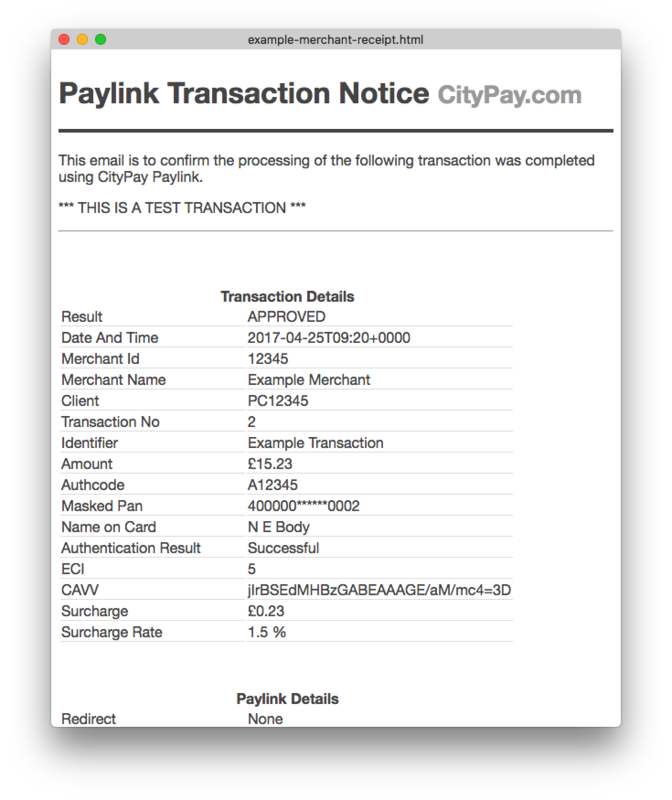 By default, an email is sent from CityPay Transaction <transactions@citypay.com> to ensure that our email is delivered via our email policies, including Sender Policy Framework (SPF) and DKIM signatures. On setup of your account you will also be required to set a support email address which is then set in the Reply-To header of the email. Should you wish to tailor the email sent or switch off this functionality, please consult your account manager. An example email is provided below. A valid mobile number is supplied in the billing details and meets the E.164 format specifications. The format is internationally standardised and provides the relevant information to route messages globally. An SMS message is limited to 153 characters. Paylink is able to integrate with other mechanisms such as Slack or HipChat. If you are interested in this feature, please consult your account manager.